When building an everyday carry (EDC) kit, one of the most critical items to include is a reliable flashlight. Flashlights may seem obsolete thanks to the obligatory internal smartphone flashlight, but that may not always be enough. Where will you be during an emergency once your phone dies or out in the wilderness when your phone won’t cut it? A good flashlight will outperform your phone in brightness and battery life every time, not to mention your phone should be kept on standby for emergency calls. Thus, it doesn’t hurt to keep a flashlight or two handy, especially when this two-pack of Army Gear Tactical Flashlights is on sale for $17.99. These tactical flashlights are perfect for EDC; they’re small and feature a weatherproof, ultra-lightweight titanium alloy construction that fits comfortably in your pocket. 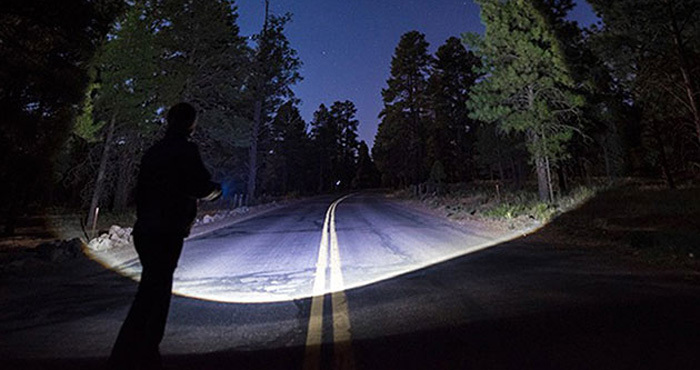 The light outputs 800 lumens and can be seen from miles away with the reliability of up to 6 hours of battery life (they can be refueled with three AAA batteries). Using the rotatable chassis, the light can switch between a wide flood light and a focused light. And finally, the tactical head can be used to shatter glass or to help protect you via self-defense if needed. 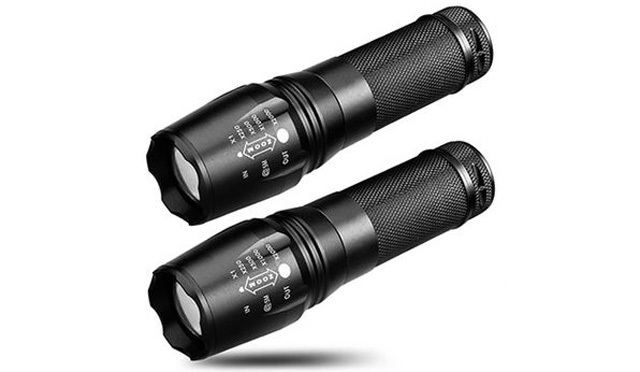 You can find the Army Gear Tactical Flashlight 2-Pack here for $17.99, down from $59.99. When I (tried to) ordered the Special “Forces-tactical flashlights” it does not show the shipping BEFORE i finalize my order. So….how much is the shipping?? I’m not going to give my credit card info before I how much the shipping is!! When you enter in your shipping address on the check out page, it will show the shipping amount on the right-hand side in your order summary. You can see this amount before you enter your credit card info.